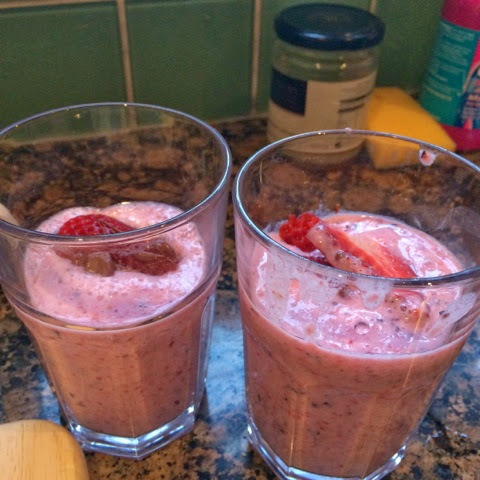 I'm going to show you how to make two quick fruit smoothies from scratch! 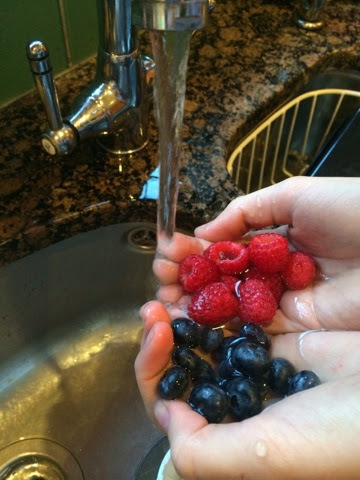 2) Next put the raspberries and blueberries into a bowl, and on a chopping board start to cut up your strawberries and place them in another bowl. When cutting them up slice one strawberry very finely and put to one side! 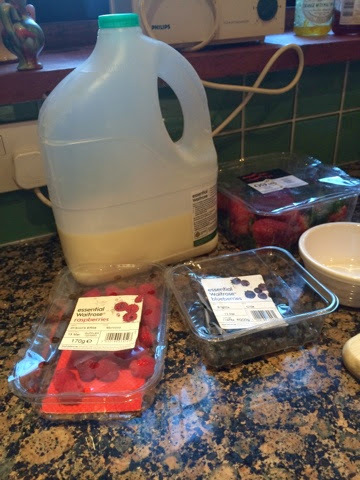 3) Measure out your milk to 150ml in a measuring jug, then add your fruit in as well! 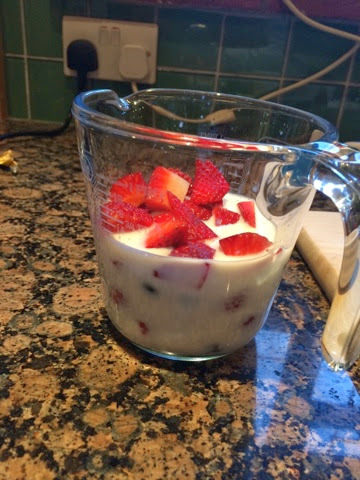 4) Now start to blend together the ingridients. 5) Once fully blended, put your chocolate cubes in a bowl and melt in a microwave, for approximately 1 minuite. 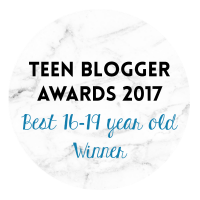 When you take it out, mix it and then if it isn't gooey then melt for a further 30 seconds, but don't burn the chocolate!!!! 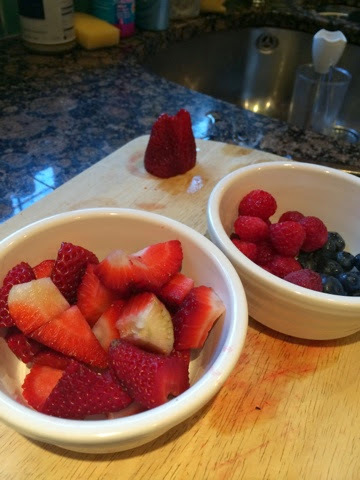 Then drizzle the melted chocolate over the strawberry you sliced up at the beging. 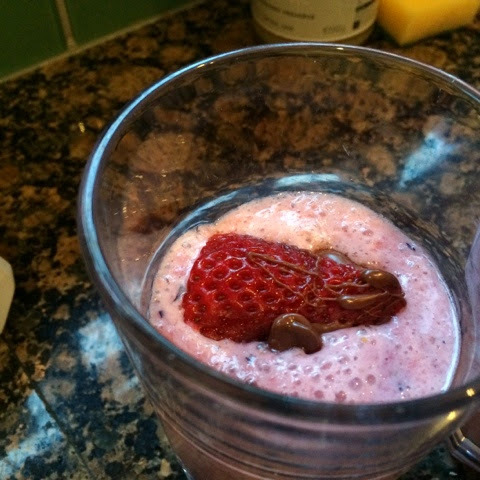 Then pour your smoothie into a glass and drop the strawberry on top. 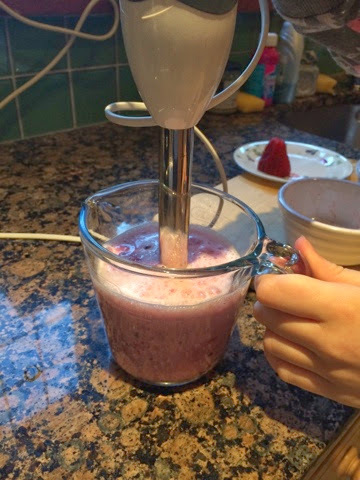 6) This is a recipe for two smoothies, so split the mixture evenly! 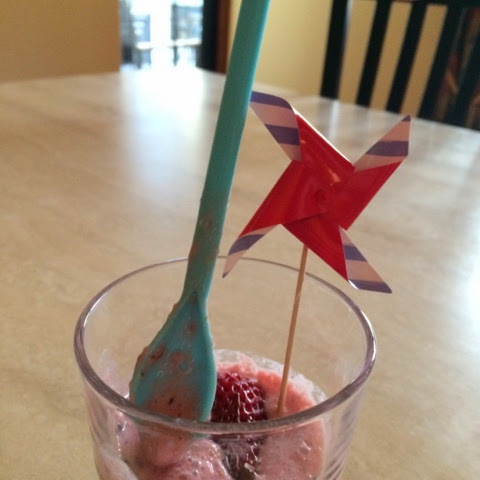 7) Then add accessories to your drink I added a long spoon and a windmill from waitrose!